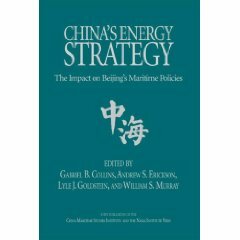 Gabriel B. Collins and William S. Murray, “No Oil for the Lamps of China?” Naval War College Review, 61.2 (Spring 2008): 79-95. The ubiquitous Made in China stickers and labels on consumer products remind us daily of China’s incredible economic rise. The world is accustomed to this powerful phenomenon and seems to expect that China’s economy will grow at 10 percent annually for at least another decade. Such remarkable economic progress has lifted millions of Chinese out of poverty and also substantially benefited the global economy. 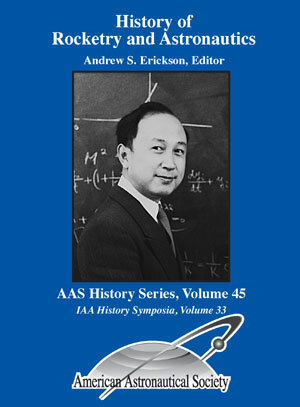 It is also arguably the cornerstone of Chinese Communist Party legitimacy. Western and Asian hunger for inexpensive Chinese goods fuels much of this growth, but China’s economic engine cannot run without imports of raw materials, such as bauxite, iron ore, timber, and, perhaps most significantly, crude oil. Once a significant exporter, China became a net importer of crude in 1993 and now struggles to deal with this dependency. Chinese security analysts fear that oil import dependency is a potential pressure point that could be exploited by future adversaries of the People’s Republic of China (PRC). Approximately 80 percent of China’s 3.3 million barrels per day (bpd) in crude oil imports passes through the Straits of Malacca. Such funneling could facilitate interdiction of China’s oil lifeline in times of crisis. The United States, India, and Japan are all seen as potential blockaders, but Chinese observers appear to believe that only the United States has both the capability and the will to blockade oil shipments to China. One recent Chinese article postulates that the most likely triggers of an oil blockade of China include a fight over Taiwan and a situation in which China’s rise becomes hostile and directly threatening to other major powers. 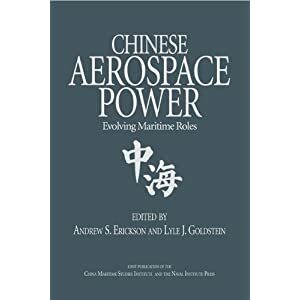 Some Chinese analysts argue that the need to protect shipments of oil and other vital raw materials is a key driver behind the PRC’s intensive aerial and naval modernization programs. Yet despite impressive improvements, the People’s Liberation Army Navy (PLAN) lacks the ability to defend the sea lines of communication (SLOCs) over which Chinese oil supplies flow. Among other limitations, the PLAN lacks guaranteed access to ports for refueling, repairing, and replenishing as well as adequate numbers of at-sea-replenishment vessels necessary to support long-range missions. More fundamentally, the PLAN rarely undertakes long-distance operations, which would provide vital training and experience for SLOC-protection missions. 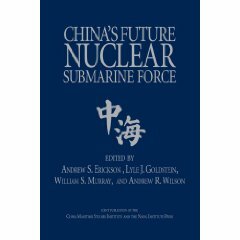 In contrast, some of Beijing’s potential adversaries have decades of blue-water experience, world-class logistical capacity, global access to replenishment ports, and doctrine and equipment oriented toward warfare on the high seas. Beijing’s strategists recognize this disparity and are presumably devising plans to counter any possible future efforts to cut China’s petroleum umbilical cord. This article examines potential Chinese responses to possible forms of energy blockade. 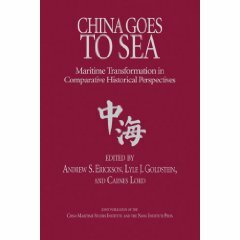 The first two sections discuss how a distant blockade might be conducted and surveys possible Chinese responses to such an action. The third section hypothesizes a close blockade and then analyzes potential courses of action in response. The fourth section examines the possibility of a “blockade by convoy,” while the final section considers an energy-denial strategy that would target China’s ability to transport and process crude oil.